Belarusian authorities have ordered the expulsion of an Iranian man who has converted to Christianity and is wanted by Tehran for apostasy and alleged murder, despite warnings by international human rights organizations that he would be at risk of torture and the death penalty if sent back, RFE/RL Belarus service said. Mehrdad Jamshidian's health is deteriorating after he suffered a heart attack in July and was returned to a detention center after only three days in a Belarusian hospital. Jamshidian emigrated to Belarus in 1993 and is married to a Belarusian woman with whom he has three children. Jamshidian has been without legal status since his Iranian passport expired in 2016, and he did not apply for a new one because of "well-founded fears of persecution in Iran," according to Amnesty International. 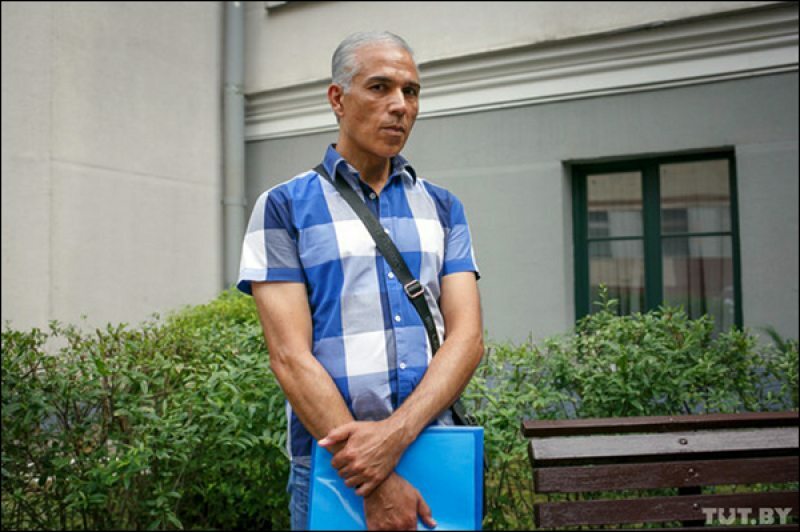 His multiple requests for asylum and protection have been all rejected by the Belarusian authorities since 2013, and without a new passport he could not apply for residence in the country. The Belarusian Department of Citizenship and Migration on March 15 issued an order to deport Jamshidian, who has been kept in detention for the past nine months, back to Iran. Diana, one of Jamshidian’s daughters, told RFE/RL that her father has five days to appeal the verdict. Jamshidian converted to Christianity in 2002 while living in Belarus, a fact that apparently only became known later to the Iranian authorities. Apostasy, the renunciation of Islam, is a crime punishable by death in Iran. Jamshidian was placed on Interpol's wanted list in 2012 at Tehran's request for allegedly murdering his mother and brother during a visit to Iran, although Amnesty International says he was in Belarus at the time of the murders, and despite his relatives declaring officially that he was not a suspect. Belarusian authorities, based on the Interpol warrant, arrested him twice, in 2012 and 2013, but did not extradite him eventually because of what they said was insufficient proof from Iran for his expulsion. However, Belarusian authorities in late 2013 ordered his deportation, resulting in his being detained twice for long periods of time between 2013-2016 before being eventually released due to extenuating circumstances. Human rights organizations have been coming to Jamshidian's defense. The UN Committee on Human Rights said in 2017 that, if Jamshidian was extradited to Iran he would be at risk of torture and the death penalty, with no guarantee of a fair trial. Amnesty International said in July that under "the binding international legal principle of non-refoulement," states cannot transfer a person to a place where they are at real risk of serious human rights violations or abuses. "Sending Mehrdad Jamshidian to Iran, where he is at risk of grievous harm and possibly death, would be a violation of international law," Amnesty said at the time. Jamhsidian's other daughter, Katryn, told RFE/RL that Belarusian authorities had long given the family assurances that he could be sent to a third country. "But now, they are referring to some documents that came from Iran, and saying that the decision about deportation has been made," Katryn said. "But where? To Iran, where the death penalty awaits him for what he did not and could not have done? Iranian authorities are simply seeking revenge for his conversion from Islam to Orthodox [Christianity]. It is very disappointing for us that our home country, Belarus, has sided with Iran in the question of the fate of [our father] and his family."